It is impracticable for New Ground to deal with individuals who will not identify themselves or who have used a pseudonym. If New Ground receives unsolicited personal information, we will determine whether or not we could have collected that information in accordance with our policy on the collection of solicited personal information. If New Ground determines the unsolicited personal information could not have been collected, the information will be destroyed and New Ground will ensure the information is de-identified. For example, when you ask to be placed on a mailing list, we will collect your contact details so that we can provide you with the information or advice you need. When you apply for a job with us, we collect information about your qualifications and experience and we may ask you to undertake certain tests and provide referees as part of our recruitment process. We use personal information primarily for the purpose for which it was collected. Because most of our information is collected from you directly, you will be aware of the purpose of the collection. We will not disclose information we collect about you to any third parties or use it for any other purpose, other than the purpose for which it was collected, without your prior consent. Similarly, we will not sell any information we collect about you. We may obtain your contact details so that we can send you information or ask you if you wish to be placed on our mailing lists. Likewise, for marketing purposes, we may access various databases in the public domain and obtain referrals from our existing clients. 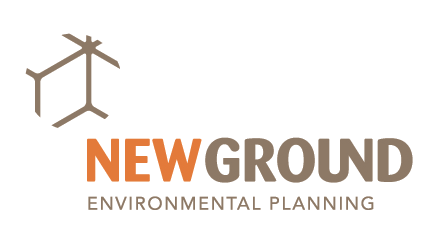 If you wish to ‘opt out’ of receiving any marketing material from New Ground you may do so by replying to the email you may have received or sending an email to info@newground.com.au. New Ground does not send any personal information we collect overseas. If outsourcing is used, it is for services required (such as market research or typing) and does not require New Ground to send any personal information. Your files may be stored electronically in a cloud based Microsoft product which is stored securely on a Server in Perth, Western Australia. This Server is maintained with encrypted passwords by Geidi. New Ground will not use or disclose a government related identifierof an individual unless it is permitted in accordance with the Privacy Act 1988 (Cth) as amended. We will take all reasonable steps to ensure that your personal information which we collect, use or disclose, is accurate, complete and up-to-date. For example, employees will be asked to complete a change of employee details form whenever any of their details are changed such as address, next of kin, bank details etc. These details are also checked at the annual career development review process. New Ground has protocols in place to protect the security of all personal information we collect. This involves protecting the information from misuse and loss, as well as from modification and disclosure. New Ground’s Control of Records procedure ensures compliance with the security of your personal information. Only authorised people within the company will have access to any personal information and this is managed through security permission levels within our electronic internal system. In addition, your personal information is only kept while it is required for the purpose for which it was collected or for a permitted secondary purpose. Should New Ground no longer need an individual’s personal information, steps will be taken to ensure the information is destroyed and de-identified. If you wish to access the information we hold about you, you are welcome to contact us by sending an email to info@newground.com.au with the details of your request and we will respond to your request within 30 days. There may be certain circumstances in which New Ground is not required to, or cannot give you access to particular personal information. Should this occur, New Ground will set out the reasons for this when we respond to your request, including information on how you can make a complaint about such refusal. You can also request that information about you be corrected or deleted and we will respond to any such requests within 30 days. This is part of our commitment to take all reasonable steps to ensure that the information we hold is accurate, complete and up-to-date. If we refuse your request, we will give you our reasons and advise you of the mechanisms available to make a complaint about the refusal. If we refuse your request to correct information we hold about you, we will give you the opportunity to post a statement of your request in the same location that we hold your personal information. By providing personal information to us, you are indicating your acceptance of our current policy. If you feel that New Ground has breached the Australian Privacy Principles in anyway, you can make a complaint in writing and send it to info@newground.com.au. The complaint will be dealt with in a confidential manner by the General Manager of New Ground.